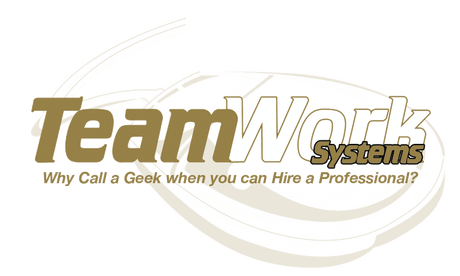 Our goal at TeamWork Systems is to provide you with the greatest service experience ever. Computer repair and great service or all terms describe that embody company’s motto. Our team of techs have been in the computer repair industry for many years. We have maintained an excellent customer service record throughout the life of this company. Not only do we have some of the best and most knowledgeable techs in Naples FL area, but we also require continued education to ensure that they all keep up with the constant changes in technology. We provide solutions for every computer repair related issue that you could have. From simple computer setup to complex network configurations we do it all. We offer the full range of IT services like Virus removal, Hardware replacement, Upgrades, Software installs, network setup, consulting, general maintenance, data recovery and anything else related to computers. TeamWork Systems provides expert, same day onsite, workshop computer repairs and remote IT support services to thousands of homes throughout Naples, FL and surrounding areas. Trusted by thousands of loyal customers who need same day computer repairs and many years of experience we can fix your server, PC, Mac or laptop today! No Fix No Fee – If we can’t find the problem or offer you a solution there’s nothing to pay! Same Day Service – We send the experts to your Home. We do it all – PCs, Macs, Laptops, Tablets. Local Service – We have local Technicians Servicing Naples FL and surrounding areas..
Fast Repairs – We carry many parts and accessories! Proven Track Record – Many years in business and thousands of satisfied customers! Providing reliable and comprehensive computer repair, data recovery and IT support services, our experienced techs can come to your home to repair your issues most of the time on the spot.